Phase Contrast Microscopy, a non-invasive and cost-effective microscopy imaging technique, is one of the most widely used imaging modality in biology. It allows to visualize transparent cells over a long period of time â€“ ranging from a few minutes to several days â€“without staining or altering them. Due to its optical principle, phase contrast microscopy introduces artefacts in images such as halos, bright contours that appear at regions where the phase of the specimen is slowly varying, and shade-off effects, a gradual decrease of intensity from the contours of the specimen towards its centre. As a result, biologists can easily identify cells and understand their behaviour whereas critical steps in automated image analysis, such as cell segmentation, are greatly hindered. In order to resolve the many challenges phase contrast image analysis present, we first developed a nonlinear model of phase contrast microscopy on Matlab based on the optical principles of the system. 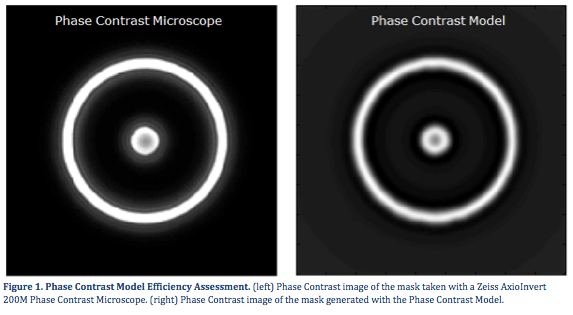 In a second step, we validated the model and demonstrated it could faithfully reproduce phase contrast features. 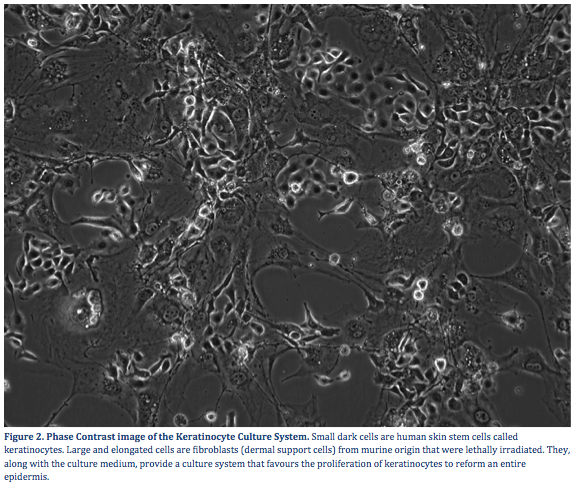 Finally, we used the model to design steerable and scale-invariant filters to detect keratinocytes (human skin stem cells) monitored via an optical Zeiss Microscope over six days.